The new MeoStar R1 1.5-6x42 is a deer hunters dream come true. A versatile 4x magnification range handles in-close fast moving game as well as longer range targets. Our RD illuminated reticle system is optimized for daylight and challenging low-light conditions and provides 7 levels of intensity with intermediate off positions between each setting. Proprietary MB5501TM ion assisted lens multi-coatings deliver maximum brightness and edge-to-edge clarity in challenging conditions and our MeoShieldTM coating protects exposed lens surfaces from abrasion. MeoTrackIITM posi-click finger adjustable turrets offer precise ¼ MOA click adjustments. RD illuminated. 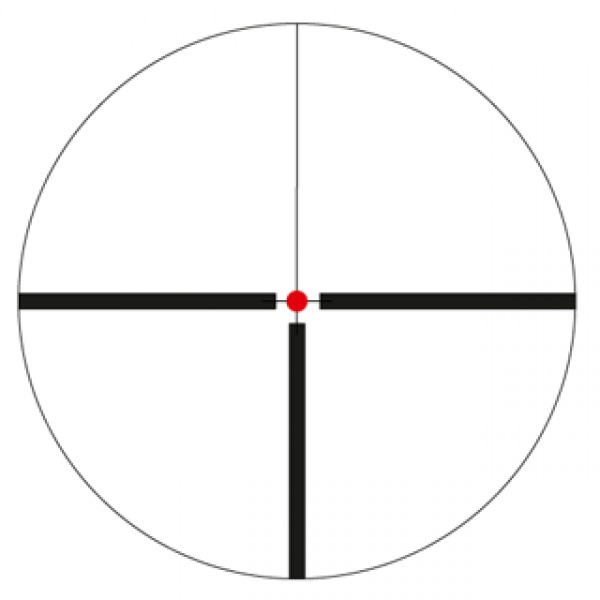 European style reticle Provides hunters with fast target acquisition in lower light and against tangled backgrounds. Purchase through PayPal by using the "Add To Cart" button above or use the form below to order the Meopta Meostar 1.5-6x42 REDDOT 4C . Feel free to contact us if you have any questions about the Meopta Meostar 1.5-6x42 REDDOT 4C .